The electronic guide is written and spoken in English. Guided tours in English on demand. 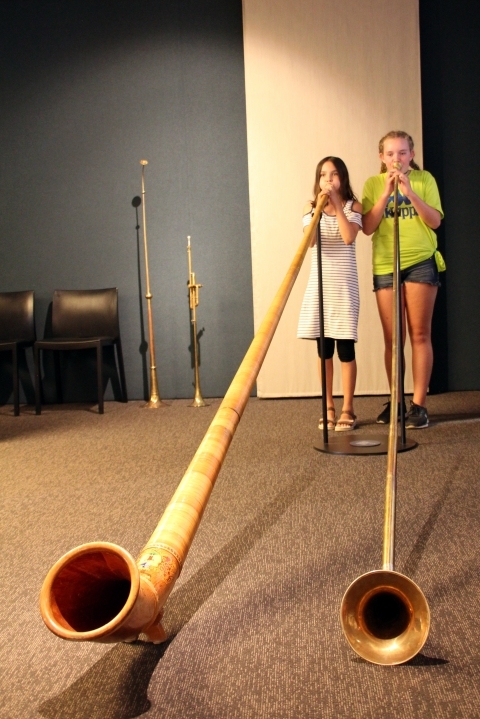 Try to play an Alphorn! 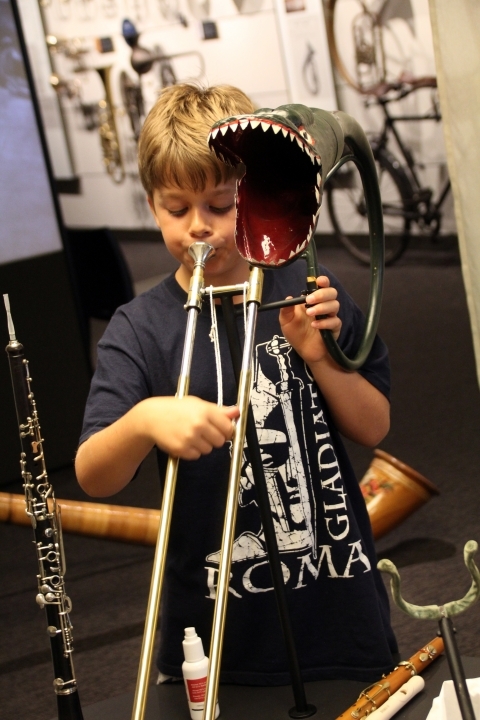 have played instruments made from animal horns and wood in order to lure or calm their animals. It was not until the 20th century that the Alphorn actually became popular and eventually a symbol for “Swissness».